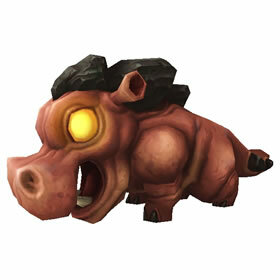 Usually found near inland water near their larger Riverbeast counterparts in Gorgrond. Just found a common one at Deeproot, at the pool near Tarina the Ageless! The only one I've found in the whole zone but at least I found one! I had a terrible time finding one of these even though I engaged every battlepet I came across in Evermorn. I *finally* found one but it was of poor quality. Under the theory of "a poor quality pet is better than none at all", I kept it. At the end of the fight, as somebody else mentioned, I got a battle stone and immediately upgraded it to rare so I'm doing the happy dance now! Got mine after popping in and out - not a terribly hard farm. Evermorn Springs gave me an uncommon. Spent a while looking for this guy. Finally found him just north of Bastion Rise. Their were 2 the first was a poor, but I got lucky the second one I found was a rare. Couple around pool at 40.3 76.5 ( The Fertile Ground). get off at Beastwatch & head SouthWest. Fiound a gray one at Tailthrasher Basin (46.37, 90.18). Very cute and he is a tough cookie. I was able to find between 3-5 at a time at both Deeproot (north of Bastion Rise) and the northern pool at Evermorn Springs. I saw several uncommon and snagged a rare as well. Best of luck! I spent a half hour riding around half the zone, so I took everyone's advice and just captured the first one i came across. When the battle was complete, the game gave me a flawless beast battle-stone, which was promptly put on the pet. This pet has a certain cuteness about it! This may be a pet you want to use a stone on. 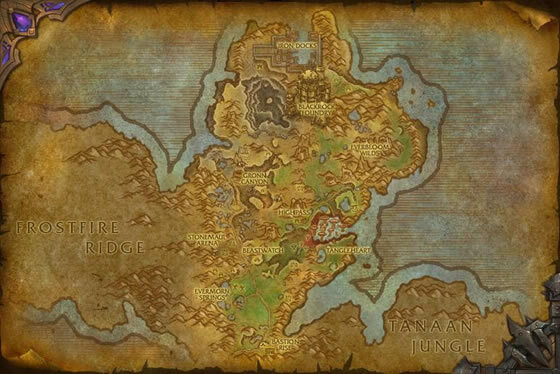 I spent almost an hour trying to force respawns at Bastion Rise by killing all the non-battle pet calves and hippos around the water hole, and battle pets never spawned. It is nice that there's a flight path that drops you right at the edge of the pool there. Good luck hunting. Every possible spawn point I checked for these had nothing but critter versions, except for the pool below the cliff along the south edge of Deadgrin, around 40.7 x 75.6. There were several wild battle versions spawned there. I got mine near Bastion Rise in Deeproot near the water (48, 88). They seem very scarse, at Everbloom there were 2 up, both poor quality, where I got mine, there was 1 and luckily it was rare (if it hadn't been, I probably would have used a stone on it). I searched for some time before I finally found this guy in Evermorn Springs. There was only one and I have yet to see them as battle pets anywhere else. He was also poor but, I plan to upgrade with a stone. Found these guys in the shallow pools near their mamas in gorgrond can confirm near highland calfling in "deeproot" (southern tip of area) and one near Evermore springs. I didnt see many of them, wondering if they are like giraffe calf? Ive seen one in h/p and one in h/s one common and the other poor quality.